(See Also ResearcherID). Note: in response to requests from Elsevier, reprints of papers to which they hold copyright have been replaced here with DOI links. If you still need a PDF, please e-mail asimow@gps.caltech.edu. Asimow PD and Wood JA (1992) Fluid outflows from Venus impact craters: Analysis from Magellan data. Journal of Geophysical Research, 97(E8):13643-13665. PDF reprint. Asimow PD, Hirschmann MM, Ghiorso MS, O'Hara MJ, Stolper EM (1995) The effect of pressure-induced solid-solid phase transitions on decompression melting of the mantle. Geochimica et Cosmochimica Acta, 59:4489-4506. 10.1016/0016-7037(95)00252-U. Asimow PD, Hirschmann MM, Stolper EM (1997) An analysis of variations in isentropic melt productivity. Philosophical Transactions of the Royal Society of London, Series A, 355:255-281. PDF reprint. Asimow PD (1997) A thermodynamic model of adiabatic melting of the mantle. Ph.D. thesis, California Institute of Technology. Online Access or PDF scan. Hirschmann MM, Ghiorso MS, Wasylenki LE, Asimow PD, and Stolper EM (1998) Calculations of Peridotite Partial Melting from Thermodynamic Models of Minerals and Melts. I. Methods and comparison to experiments, Journal of Petrology, 39:1091-1115. PDF reprint (See also part II, PDF reprint). Gaetani GA, Asimow PD, and Stolper EM (1998) Determination of the Partial Molar Volume of SiO2 in Silicate Liquids at Elevated Pressures and Temperatures: a New Experimental Approach, Geochimica et Cosmochimica Acta, 62:2499-2508. 10.1016/S0016-7037(98)00172-0. Asimow PD and Ghiorso MS (1998) Algorithmic Modifications Extending MELTS to Calculate Subsolidus Phase Relations, American Mineralogist, 83:1127-1132. PDF reprint. Asimow PD and Stolper EM (1999) Steady-state Mantle-Melt Interactions in One Dimension. 1: Equilibrium transport and Melt focusing, Journal of Petrology, 40:475-494. PDF reprint. Hirschmann MM, Asimow PD, Ghiorso MS, and Stolper EM (1999) Calculation of Peridotite Partial Melting from Thermodynamic Models of Minerals and Melts. III. Controls on Isobaric Melt Production and the Effect of Water on Melt Production, Journal of Petrology, 40:831-851. PDF reprint. Asimow PD (1999) A Model that Reconciles Major- and Trace-element Data from Abyssal Peridotites, Earth and Planetary Science Letters, 169:303-319. 10.1016/S0012-821X(99)00084-9. Asimow PD, Hirschmann MM, and Stolper EM (2001) Calculations of Peridotite Partial Melting from Thermodynamic Models of Minerals and Melts. IV. Adiabatic Decompression and the Compositions and Mean Properties of Mid-ocean Ridge BasaltsJournal of Petrology, 42:963-998. PDF reprint. Asimow PD (2002) Steady-state Mantle-Melt Interactions in One Dimension. 2: Thermal Interactions and Irreversible Terms, Journal of Petrology, 43:1707-1724. PDF reprint. Luo S-N, Mosenfelder JL, Asimow PD, and Ahrens TJ (2002) Stishovite and its implications in geophysics: New results from shock-wave experiments and theoretical modeling, Physics-Uspekhi, 45:3-7 PDF reprint (English) or in Russian, Uspekhi Fizicheskikh Nauk, 172:475-480. PDF reprint (Russian). Luo S-N, Mosenfelder JL, Asimow PD, and Ahrens TJ (2002) Direct shockwave loading of stishovite to 235 GPa: Implications for perovskite stability relative to oxide assemblage at lower mantle conditions, Geophysical Research Letters, 29 DOI 10.1029/2002GL015627. PDF reprint. Asimow PD and Langmuir CH (2003) The importance of water to oceanic mantle melting regimes, Nature, 421:815-820. PDF reprint. Su Y-J, Langmuir CH and Asimow PD (2003) PetroPlot, a plotting and data management tool for Microsoft Excel, Geochemistry Geophysics Geosystems, 4 DOI 10.1029/2002GC000323. PDF reprint and Source code and tutorial ZIP file. Asimow PD (2003) Earth science: A slice of history (news and views). Nature 423:491-493 (doi:10.1038/423491a). PDF reprint. Luo SN, Ahrens TJ and Asimow PD (2003) Polymorphism, superheating, and amorphization of silica upon shock wave loading and release. Journal of Geophysical Research 108(B9):2421 (doi:10.1029/2002JB002317). PDF Reprint. Donelick, R., Farley K., O’Sullivan P. & Asimow P. (2003) Experimental evidence concerning the pressure dependence of He diffusion and fission-track annealing kinetics in apatite, On Track: The Newsletter of the International Fission-Track Community 13(2, Issue 26):19-21. PDF reprint. Luo SN, Tschauner O, Asimow PD and Ahrens TJ (2004) A new dense silica polymorph: A possible link between tetrahedrally and octahedrally coordinated silica. American Mineralogist 89(2-3):455-461. PDF reprint and a Photograph of the new polymorph. Asimow PD, Dixon JE and Langmuir CH (2004) A hydrous melting and fractionation model for mid-ocean ridge basalts: Application to the Mid-Atlantic Ridge near the Azores. Geochemistry Geophysics Geosystems 5(1):Q01E16, DOI: 10.1029/2003GC000568. PDF reprint. Luo SN, Akins JA, Ahrens TJ and Asimow PD (2004) Optical emission of shock compressed MgSiO3 glass enstatite, olivine, and quartz. Journal of Geophysical Research, 109:B05205, DOI:10.1029/2003JB002860. PDF reprint. Cooper KM, Eiler JM, Asimow PD and Langmuir CH (2004) Oxygen isotope evidence for the origin of enriched mantle beneath the mid-Atlantic ridge. Earth and Planetary Science Letters 220:297-316. 10.1016/S0012-821X(04)00058-5. Asimow PD and Longhi J (2004) The significance of multiple saturation points in the context of polybaric near-fractional melting. Journal of Petrology 45:2349-2367. PDF reprint. Staneff GD, Asimow PD and Caillat T (2004) Synthesis and thermoelectric properties of Ce(Ru0.67Rh0.33)4Sb12, in Nolas GS, Yang J & Johnson DC (Eds. ), Thermoelectric Materials 2003 – Research and Applications, Materials Research Society Symposium Proceedings 793, pp. 101-106. Warrendale, PA: Materials Research Society. PDF reprint. Luo S-N, Swift DC, Tierney T, Xia K, Tschauner O and Asimow PD (2004), Time-resolved X-ray diffraction investigation of superheating-melting behavior of crystals under ultrafast heating, in Shock Compression of Condensed Matter--2003: Proceedings of the Conference of the American Physical Society Topical Group on Shock Compression of Condensed Matter, edited by M.D. Furnish, Y.M. Gupta and J.W. Forbes, American Institute of Physics, AIP Conference Proceedings 706:95-98. PDF reprint. Akins JA, Luo S-N, Asimow PD and Ahrens TJ (2004) Shock-induced melting of MgSiO3 perovskite and implications for melts in Earth’s lowermost mantle.Geophysical Research Letters 31:L14612, doi:10.1029/2004GL020237. PDF reprint. Zeng L, Saleeby JB and Asimow PD (2005) Nd isotopic disequilibrium during crustal anatexis: a record from the Goat Ranch migmatite complex, southern Sierra Nevada, California. Geology 33:53-56, doi: 10.1130/G20831.1. PDF reprint. Luo S-N, Swift DC, Tierney TE IV, Paisley DL, Kyrala GA, Johnson RP, Hauer AA, Tschauner O and Asimow PD (2004) Laser-induced shock waves in condensed matter: Some techniques and applications. High Pressure Research, 24(4):409-422. PDF reprint. Tschauner O, Luo S-N, Asimow PD, Ahrens TJ, Swift DC, Tierney TE, Paisley DL and Chipera SJ (2004) Shock-synthesized glassy and solid silica: intermediates between four and six-fold coordination. High Pressure Research, 24(4):471-479. PDF reprint. Smith PM and Asimow PD (2005) Adiabat_1ph: a new public front-end to the MELTS, pMELTS, and pHMELTS models, Geochemistry Geophysics Geosystems, 6(2):Q02004, doi:10.1029/2004GC000816. PDF reprint. See also the Magmasource Website for latest version of software, and more. Luo S-N, Tschauner O, Tierney TE IV, Swift DC, Chipera SJ and Asimow PD (2005) Novel crystalline carbon cage structure synthesized from laser-driven shock wave loading of graphite. Journal of Chemical Physics, 123, 024703. PDF reprint. Zeng L, Asimow PD and Saleeby JB (2005) Coupling of anatectic reactions and dissolution of accessory phases and the Sr and Nd isotope geochemistry of anatectic melts from a metasedimentary source. Geochimica et Cosmochimica Acta 69(14):3671-3682. 10.1016/j.gca.2005.02.035. Akber-Knutson S, Steinle-Neumann G and Asimow PD (2005) The effect of Al on the sharpness of the MgSiO3 perovskite to post-perovskite phase transition. Geophysical Research Letters 32(14):L14303, doi:10.1029/2005GL023192. PDF reprint. Asimow PD, Mosenfelder JL, Stein LC and Rossman GR (2006) Quantitative polarized infrared analysis of trace OH in populations of randomly oriented mineral grains. American Mineralogist 91(2-3):278-284. PDF reprint and Software Deposit Items. Mosenfelder JL, Deligne NI, Asimow PD and Rossman GR (2006) Hydrogen incorporation in olivine from 2-12 GPa. American Mineralogist 91(2-3):285-294. PDF reprint. Miller SA, Asimow PD and Burnett DS (2006) Determination of melt influence on divalent element partitioning between anorthite and CMAS melts, Geochimica et Cosmochimica Acta 70:4258-4774. 10.1016/j.gca.2006.06.1547. Tschauner O, Luo S-N, Asimow PD and Ahrens TJ (2006) Recovery of stishovite structure at ambient pressure out of shock-generated amorphous silica. American Mineralogist 91:1857-1862. PDF reprint. Baxter EF, Asimow PD and Farley KA (2007) Grain boundary partitioning of Ar and He. Geochimica et Cosmochimica Acta 71:434-451. 10.1016/j.gca.2006.09.011. Herzberg C, Asimow PD, Arndt N, Niu Y, Lesher CM, Fitton JG, Cheadle MJ, and Saunders AD (2007) Temperatures in ambient mantle and plumes: Constraints from basalts, picrites, and komatiites. Geochemistry Geophysics Geosystems 8, Q02006, doi:10.1029/2006GC001390. PDF reprint and Software Deposit Item. Mosenfelder JL, Asimow PD and Ahrens TJ (2007) Thermodynamic properties of Mg2SiO4 liquid at ultra-high pressures from shock measurements to 200 GPa on forsterite and wadsleyite.Journal of Geophysical Research 112, B06208, doi:10.1029/2006JB004364. PDF reprint. Miller, S. A., Burnett, D. S., Asimow P. D., and Hutcheon I. (2007) Experimental study of radium partitioning between anorthite and melt at 1 atm. American Mineralogist 92(8-9):1535-1538. PDF reprint. Stolper E. M. and Asimow P. D. (2007) Insights into mantle melting from graphical analysis of one-component systems. American Journal of Science 307(8): 1051-1139. PDF reprint. Kelsey, K., Stebbins J. F., Du L.-S., Mosenfelder, J. L., Asimow P. D. and Geiger, C. (2008) Cation order/disorder behavior and crystal chemistry of pyrope-grossular garnets: An 17O 3QMAS and 27Al MAS NMR spectroscopic study. American Mineralogist 93(1):134-143. doi:10.2138/am.2008.2623. PDF reprint. Baziotis I., Mposkos E. & Asimow P. D. (2008) Geochemistry of ultramafic rocks from the ultra-high pressure metamorphic Kimi complex in East Rhodope (N.E. Greece): petrological evidence from major and trace element relations and geochemical modeling. Journal of Petrology 85:885-909. doi:10.1093/petrology/egn010. PDF reprint. Gaetani G. A., Asimow P. D. & Stolper E. M. (2008) Titanium coordination and rutile saturation in eclogite partial melts at upper mantle conditions, Earth and Planetary Science Letters 272:720-729, doi:10.1016/j.epsl.2008.06.002. Herzberg C. & Asimow P. D. (2008) Petrology of some ocean island basalts: PRIMELT2.XLS software for primary magma calculation. Geochemistry Geophysics Geosystems 9, Q09001, doi:10.1029/2008GC002057. PDF reprint and Software Deposit Item. Asimow P. D., Sun D. & Ahrens T. J. (2008) Shock compression of pre-heated molybdenum to 300 GPa. Physics of the Earth and Planetary Interiors. 174:302-308. doi: 10.1016/j.pepi.2008.08.004. Mosenfelder J. L., Asimow P. D., Frost D. J., Rubie D. C. and Ahrens T. J. (2009) The MgSiO3 system at high pressure: Thermodynamic properties of perovskite, postperovskite, and melt from global inversion of shock and static compression data. Journal of Geophysical Research 114, B01203, doi:10.1029/2008JB005900. PDF reprint. Hebert L. B., Antoshechkina P., Asimow P. D. and Gurnis M. C. (2009) Emergence of a low-viscosity channel through the coupling of flow and thermodynamics in a subduction zone. Earth and Planetary Science Letters 278(3-4):243-256. Doi:10.1016/j.epsl.2008.12.013. Kelsey K. E., Stebbins, J. F., Singer D. M., Brown G. E. Jr., Mosenfelder J. L. and Asimow P. D. (2009) Cation ﬁeld strength effects on high pressure aluminosilicate glass structure: Multinuclear NMR and La XAFS results. Geochim. Cosmochim. Acta, doi:10.1016/j.gca.2009.03.040. Zeng L., Liang F., Asimow P. D., Chen F. and Chen J. (2009) Partial melting of deeply subducted continental crust and the formation of quartzofeldspathic polyphase inclusions in the Sulu UHP eclogites. Chinese Science Bulletin 54:2580-2594. Doi: 10.2007/s11434-009-0426-6. PDF reprint. Bézos A., Escrig S., Langmuir C. H., Michael P. J. & Asimow P. D. (2009) Origins of chemical diversity of back-arc basin basalts: a segment-scale study of the Northern Eastern Lau Spreading Center. Journal of Geophysical Research 114:B06212. Doi: 10.1029/2008JB005924. PDF reprint. Kelsey K. E., Stebbins J. F., Mosenfelder J. L. and Asimow P. D. (2009) Simultaneous aluminum, silicon, and sodium coordination changes in 6 GPa sodium aluminosilicate glasses. American Mineralogist 94:1205-1215, doi: 10.2138/am.2009.3177. PDF reprint. Tschauner O., Asimow P. D., Kostandova N., Ahrens T. J., Sinogeikin S., Ma C., Liu Z., Fakra S. and Tamura N. (2009) Ultrafast growth of wadsleyite in shocked melts – implications for accretion rates in the solar nebula. Proceedings of the National Academy of Science 106:13691-13695, doi:10.1073/pnas.0905751106. PDF reprint. Hebert L. B., Asimow P. D. and Antoshechkina P. (2009) Fluid source-based modeling of melt initiation within the subduction zone mantle wedge: Implications for geochemical trends in arc lavas. Chemical Geology 266:306-310, doi:10.1016/j.chemgeo.2009.06.017. Dauphas N., Craddock P. R., Asimow P. D., Bennett V. C., Nutman A. P. and Ohnenstetter D. (2010) Iron isotopes may reveal the redox conditions of mantle melting from Archean to Present. Earth and Planetary Science Letters 288(1-2):255-267. Doi:10.1016/j.epsl.2009.09.029. Asimow P. D. & Ahrens T. J. (2010) Shock compression of liquid silicates to 125 GPa: the anorthite-diopside join. Journal of Geophysical Research 115:B10209, doi:10.1029/2009JB007145. PDF reprint. Wang Z. R., Eiler J. M., Asimow P. D., Garcia M. O. & Takahashi E. (2010) Oxygen isotope constraints on the structure and evolution of the Hawaiian plume. American Journal of Science 310(8):683-720. Doi:10.2475/08.2010.01. PDF reprint. Balta J. B., Asimow P. D. & Mosenfelder J. L. (2011) Hydrous, Low-carbon Melting of Garnet Peridotite. Journal of Petrology. DOI: 10.1093/petrology/egr040. PDF reprint. Balta J. B., Asimow P. D. and Mosenfelder J. L. (2011) Manganese partitioning during hydrous melting of peridotite. Geochimica et Cosmochimica Acta 75:5819-5833. doi:10.1016/j.gca.2011.05.026. Balta J. B., Beckett J. R. and Asimow P. D. (2011) Thermodynamic properties of alloys of gold-74/palladium-26 with variable amounts of iron and the use of Au-Pd-Fe alloys as containers for experimental petrology. American Mineralogist 96(10):1467-1474. Doi: 10.2138/am.2011.3637.PDF reprint. Lund D. C. and Asimow P. D. (2011) Does sea level influence mid-ocean ridge magmatism on Milankovitch timescales? Geochemistry Geophysics Geosystems 12, Q12009. Doi: 10.1029/2011GC003693. PDF reprint. Lee S. K., Park S. Y., Kim H.-I., Tschauner O., Asimow P. D. , Bai L., Xiao Y., and Chow P. (2012) Structure of shock-compressed model basaltic glass: Insights from O K-edge X-ray Raman scattering and high-resolution 27Al NMR spectroscopy. Geophysical Research Letters 39, L05306. Doi: 10.1029/2012GL050861. PDF reprint. Hamecher E. A., Antoshechkina P. M.., Ghiorso M. S.. & Asimow P. D. (2012) The molar volume of FeO-MgO-Fe2O3-Cr2O3-Al2O3-TiO2 spinels. Contributions to Mineralogy and Petrology. Doi: 10.1017/s00410-012-0790-0. PDF reprint. Leng W., Gurnis M. & Asimow P. D. (2012) From basalts to boninites: The geodynamics of volcanic expression during induced subduction initiation. Lithosphere 4(6): 511-523. PDF reprint. Thomas C. W., Liu Q., Agee C. B., Asimow P. D. and Lange R. A. (2012) Multi-technique equation of state for Fe2SiO4 melt and the density of Fe-bearing silicate melts from 0-161 GPa. Journal of Geophysical Research 117 B10206. Doi:10.1029/2012JB009403. PDF reprint. Farley K. A., Hurowitz J. A., Asimow P. D., Jacobson N. S. and Cartwright J. A. (2013) A double-spike method for K-Ar measurement: a technique for high precision in-situ dating on Mars and other planetary surfaces. Geochimica et Cosmochimica Acta, 110:1-12. 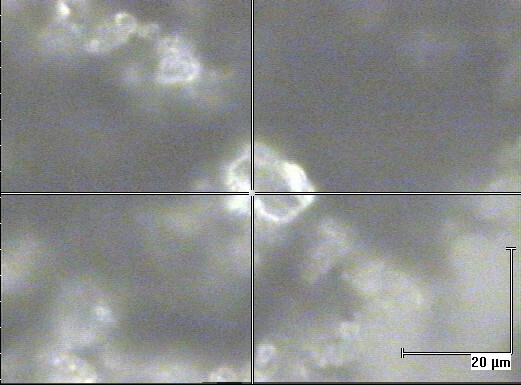 Doi: 10.1016/j.gca.2013.02.010. Herzberg C., Asimow P. D., Ionov D. A., Vidito C., Jackson M. G. & Geist D. (2013) Nickel and helium evidence for melt above the core-mantle boundary. Nature 493:393-397. Doi: 10.1038/nature11771. PDF reprint. Thomas C. W. & Asimow P. D. (2013) Preheated shock experiments in the molten CaAl2Si2O8-CaFeSi2O6-CaMgSi2O6 ternary: A test for linear mixing of liquid volumes at high pressure and temperature. Journal of Geophysical Research: Solid Earth 118:3354-3365. Doi: 10.1002/jgrb.50269. PDF reprint. LeVoyer M., Asimow P. D., Mosenfelder J. L., Guan Y., Wallace P. J., Schiano P., Stolper E. M. & Eiler J. M. (2014) Zonation of H2O and F concentrations around melt inclusions in olivines. Journal of Petrology. Published online 29 January 2014. Doi: 10.1093/petrology/egu003. Online Access. Sun D., Miller M. S., Piana Agostinetti N., Asimow P. D. & Li D. (2014) High frequency seismic waves and slab structures beneath Italy. Earth and Planetary Science Letters 391:212-223. Doi:10.1016/j.epsl.2014.01.034. Online Access. Baziotis I., Mposkos E. & Asimow P. D. (2014) Continental rift and oceanic protoliths of mafic-ultramafic rocks from the Kechros Complex, NE Rhodope (Greece): implications from petrography, major and trace-element systematics, and MELTS modeling. International Journal of Earth Sciences, publishe onlinbe 7 March 2014. Doi: 10.1007/s00531-014-1007-8. Online Access. Zhao Junhong and Asimow, P. D. (2014) Neoproterozoic boninite-series rocks in South China: a depleted mantle source modified by sediment-derived melt. Chemical Geology. Published online 27 September 2014. doi:10.1016/j.chemgeo.2014.09.004. Online Access. Herzberg C. & Asimow P. D. (2015) PRIMELT3 MEGA.XLSM software for primary magma calculation: Peridotite primary magma MgO contents from the liquidus to the solidus. Geochemistry, Geophysics, Geosystems 16, 563-578. doi:10.1002/2014GC005631. PDF reprint and the PRIMELT3 MEGA workbook. Asimow P. D. (2015) Dynamic Compression, in Gerald Schubert (editor-in-chief), Treatise on Geophysics, 2nd edition. Oxford: Elsevier. Volume 2, pp. 396-416. Available upon request. Asimow P. D. (2017) A Measure of Mantle Melting (Perspective on Sarafian et al. ), Science 355(6328):908-909. Fulltext Available Online . Fat’yanov O. V. & Asimow P. D. (2017) Equation of state of Mo from shock compression experiments on preheated samples. Journal of Applied Physics 121(11):115904. doi:10.1063/1.4978607. Accepted manuscript: JAP_121_iss_11_115904_1_am.pdf. Stouraiti C, Baziotis I, Asimow P. D. & Downes H (2017) Geochemistry of the Serifos calk-alkaline granodiorite pluton, Greece: constraining the crust and mantle contributions to I-type granitoids. International Journal of Earth Sciences. Doi:10.1007/s00531-017-1565-7. http://rdcu.be/zIYo.